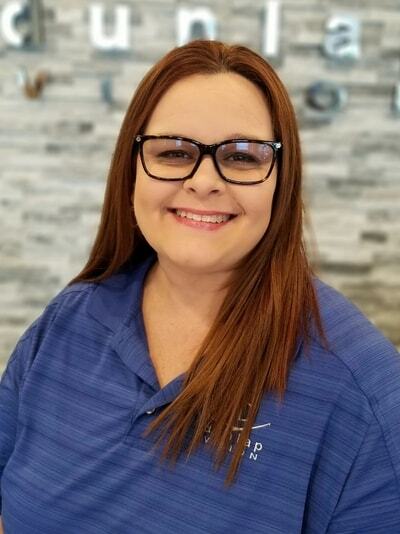 Brenda joined Dunlap Vision’s awesome team in June of 2017, bringing with her over 20 years of experience in frame styling, expertise in frame adjusting, optical knowledge, and lab skills. She is able to provide patients with valuable advice on frame and lens selections in order to meet his/her individual needs. Brenda enjoys studying what’s new in the industry with the team so they can deliver the most up-to-date technology to our patients. Brenda’s friendly smile is sure to complete your awesome Dunlap Vision experience.